Equipex brings cooking equipment to commercial kitchens in restaurants and other foodservice operations around the U.S. Equipex products are part of the SODIR brand lines, so look for the SODIR name. 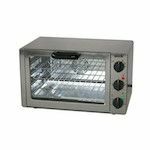 From countertop waffle bakers and panini grills to full size convection ovens and floor model electric rotisserie ovens, and many products in between, Equipex can supply you with cooking equipment for each location in your establishment. Do you run a concession stand? Equipex offers hot dog equipment like hot dog and bun steamers. Looking to add new menu items to entice new customers? Consider a rotisserie oven for roasting up to 25 birds at one time. How about a durable crepe machine or a smoker? Equipex / SODIR crepe machines are made in France and their smokers can handle smoking fish, meats, poultry and even cheeses. 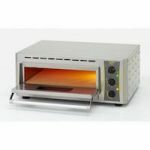 Equipex / SODIR also can provide you with countertop griddles, countertop fryers, toaster ovens, pizza ovens and more. With all of this variety, Equipex can keep you cooking.